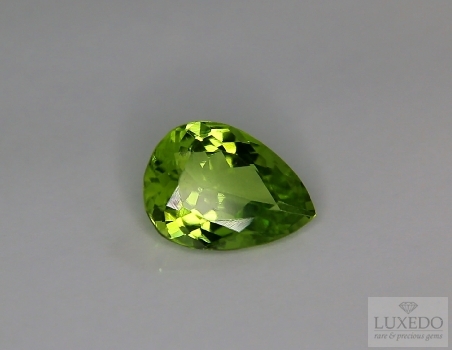 Gemstone that has always been appreciated for its unique, intense and luminous green, Peridot is increasingly used in jewelery for the availability of clear and well cut crystals. This beautiful drop is an example: a brilliant color with rich golden sparkles on a pure and naturally bright crystal. Ideal combination with yellow gold.